Hello my lovelies! I’m so sorry for my absence yet again! I have been extremely busy settling into my new place (all my nail polish isn’t even organized yet!!!) and getting used to my new schedule and things of that nature. That said, I have missed you all so terribly and I’m delighted to be back to sharing some gorgeous polishes with you. I’m super excited about these so without further ado, let’s get to it! 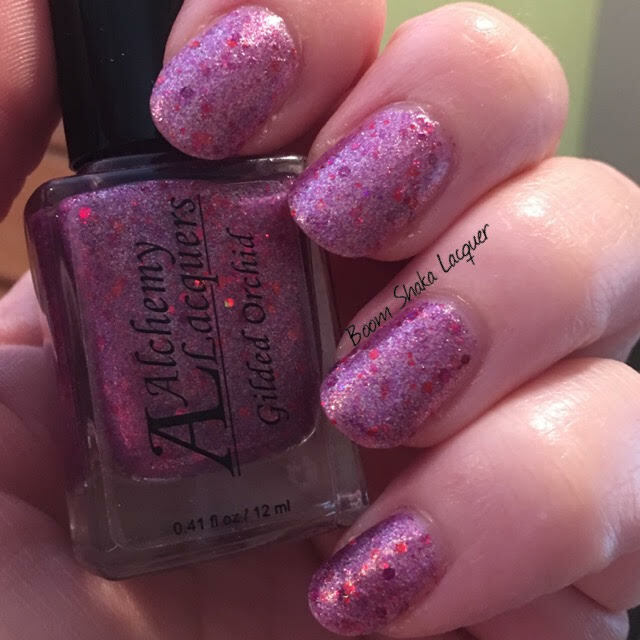 Today I have three Valentine-themed polishes from Alchemy Lacquers to show you! A Gilded, a Moon Shard, and a Potion polish! These all refer to various collections of similar type of finishes. I’m a HUGE fan of the Gilded and Moon Shard collections especially, though if we’re being honest I love them all. Do ya’ll remember the Infinity Collection? This is basically a special dark pink version of those! This is a dark magenta base with Magenta to Red to Gold multichrome shifting flakies. 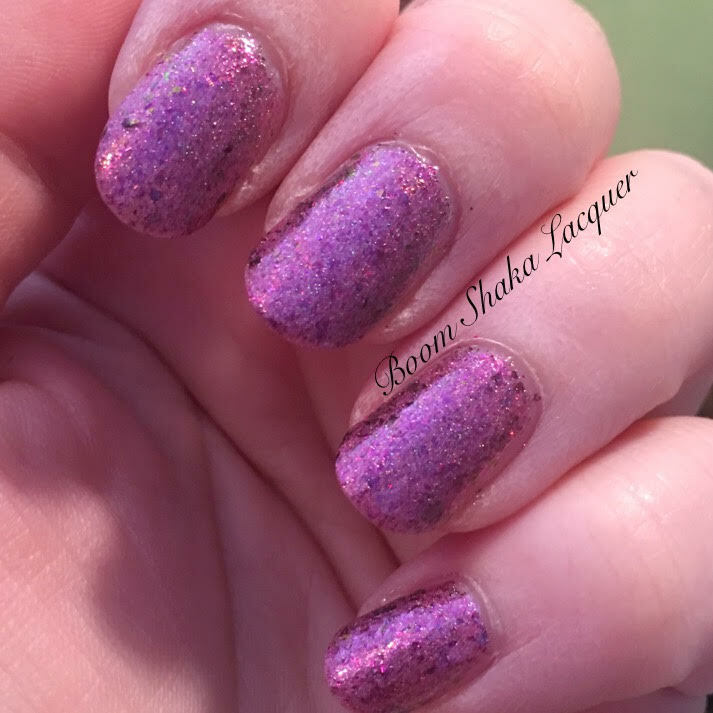 I love these flakies and the gorgeous things that happens to them in Alchemy Lacquers polishes. Hello, gorgeous! 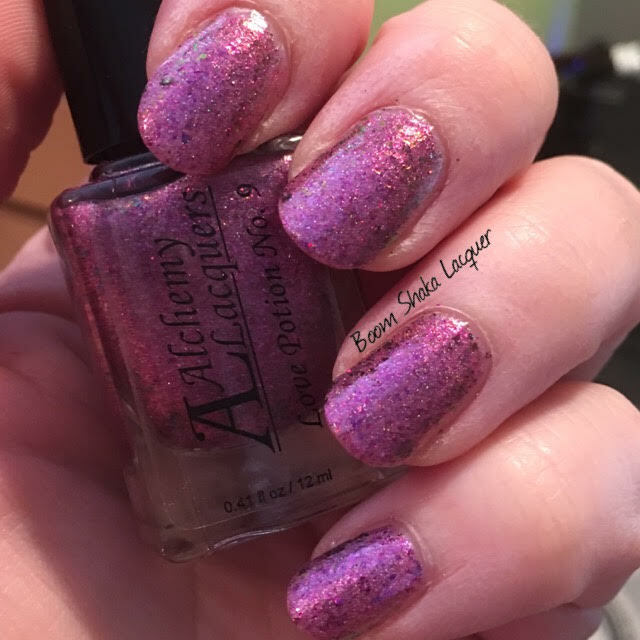 The formula on this one is what I have come to expect from Alchemy Lacquers. It’s workable, the flakies don’t clump up or leave a grit to the finish. Even though there are a ton of flakies I didn’t find it difficult to work with. Pictures show two coats plus topcoat. Hubba hubba. This one makes me so happy. In fact when I got done swatching these I did a whole manicure with this polish and stamped it with a fun Valentine-themed design. I’ll be sure to share that on Instagram and I am planning a round-up of any Valentine nail art I do before the day! 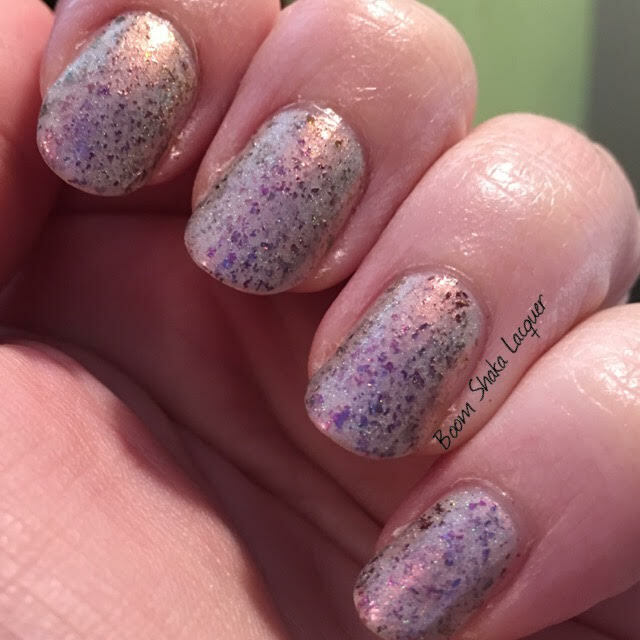 This is a white/gray color-shifting holographic base filled with Purple to Magenta to Pink to Gold multichrome shifting flakies. Not only that, this is a versatile polish, while I love it on its own it could also be layered over another color to add some amazing to your manicure! 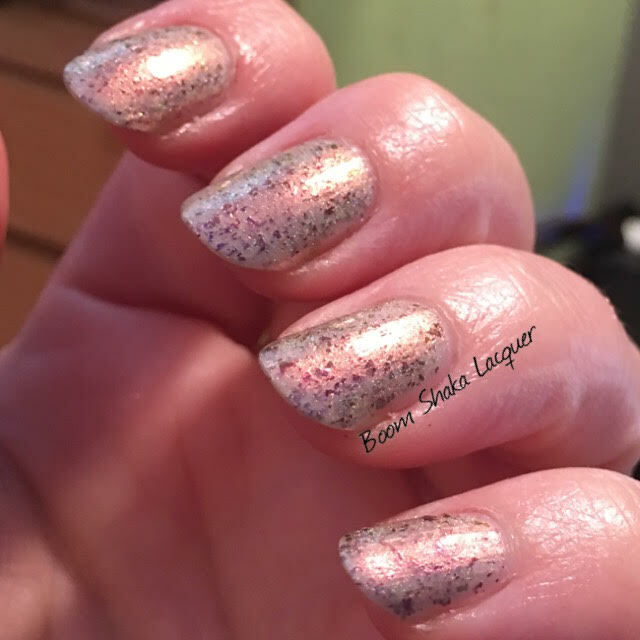 The color shift in the base of the polish goes from a pink to gold and is just stunning! Now, because this polish could be used as a topcoat it is a little bit sheer, however, it builds to opacity easily in three coats. The application was very good and the flakies spread out evenly. As you can see there are a LOT of flakies! Pictures show three thin coats with topcoat. I did mention the pink to gold shift right? Oh yeah, my lovely readers. Shift happens! Yes! I feel like this one was needed in the Gilded collection for awhile now. I love this one! 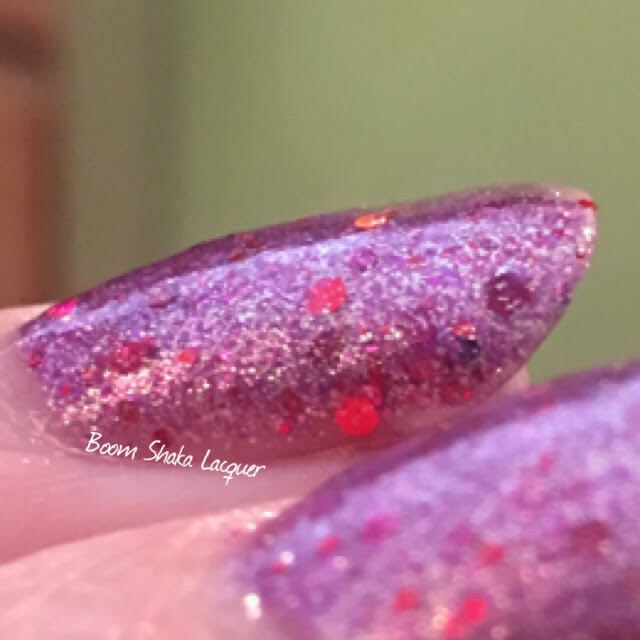 This Gilded has a magenta-leaning purple base with red and purple holographic glitter and that oh so special gold to silver shiftiness that the Gilded collection is known for. I cannot get enough Gilded polishes. I feel like every single one that has been released has been fantastic! 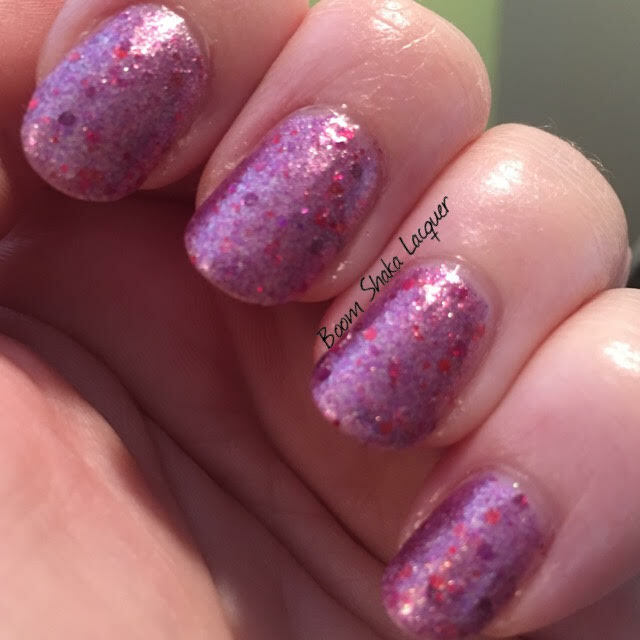 This super sparkly masterpiece is a joy to apply. Also, because there are smaller gauge glitters in this polish it’s very easy to remove. Takes just two coats to reach opacity. The sparkle is almost blinding…prepare for distractions when driving on a sunny day! Pictures show two coats plus topcoat. I was very definitely doing a happy dance when these arrived in the mail! To answer your question my dearest readers, yes, it was probably very awkward and disturbing, and no, I won’t video my Alchemy Lacquers happy dance now or in the future! I’ll leave that to your vivid imaginations! These lovelies will be available on Tuesday February 2, 2016. 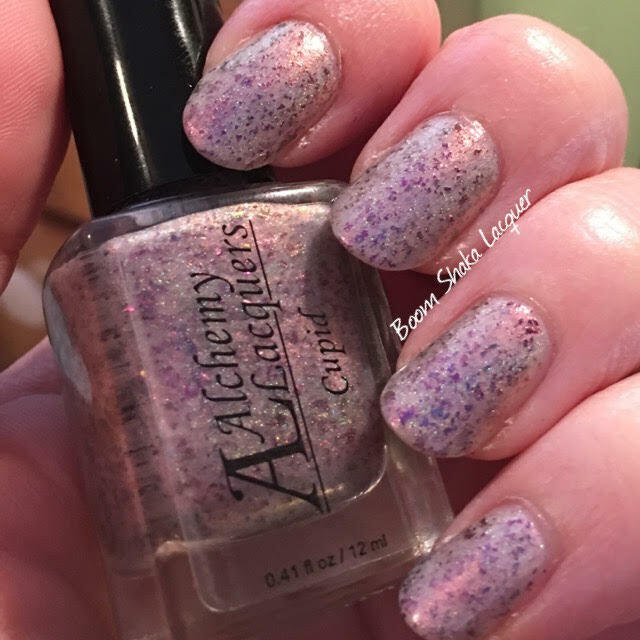 You definitely should come and join us at the Alchemy Lacquers Facebook Fan Group for sneaky peeks and announcements of upcoming releases! I’ll leave all the pertinent links below. Until next time dear readers may your days be filled with Glitter and Flakies!